Using MS Word in the Classroom Jan. 26 & 27 4-7pm $149 CSD member; $189 non- member (One Grad. Credit Available) MS Word is a powerful word processing program that helps teachers create lessons, tests and letters. Students can use it for creative writing, basic reports or research papers. Learn the basics along with more advanced features such as inserting graphics, clip art, and spreadsheets, transforming text to html, and word art. Participants will also plan a lesson activity incorporating the use of Word such as having students create bookmarks that persuade readers to read the book. Learn how to help students create newsletters and brochures, and how you can create easy to use worksheets with embedded hyperlinks that can help support your students as they create their own projects. Using MS PowerPoint in the Classroom Feb. 8 & 9 4-7pm $149 CSD member; $189 non-member (One Grad. Credit Available) Learn everything from the basics to the more advanced features that make PowerPoint a great tool for student learning. You will have the opportunity to create your own PowerPoint presentation for use in the classroom to introduce or clarify a lesson. Learn how to create photo albums, adventure stories, and Jeopardy games. During the second half of the class, learn how to design student PowerPoint assignments that require higher order thinking skills, such as a poetry analysis presentation, and examine assessment methods that will help you grade these student assignments. 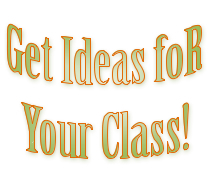 Walk away with your own presentation and ideas for integrating PowerPoint into your classroom! June 24 from 8:30 a.m. to 3:30 p.m.
June 27 from 8:30 a.m. to 3:30 p.m.
June 28 from 8:30 a.m. to 3:30 p.m.
To register for these classes, visit the Technology section of CSD’s website.